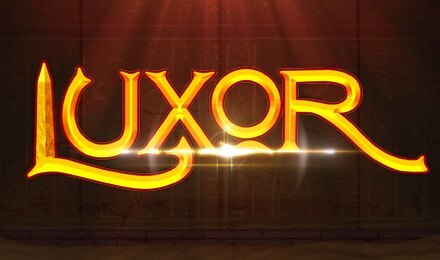 Indulge into the enthralling gameplay of Luxor Slot and have a whale of a time! Powered by Pariplay, this marvellous slot machine comes with 5 reels and 243 ways to win. The design of this super game is pretty flashy. The background seems to have been taken inside a pyramid. Start the virtual fun anytime by taking out your desktop, tablet or mobile phone! What’s more? The slot is available to play on Moon Games! Luxor Slot is very simple to play. You must set up your desired bets and then click onto the spin button to start the fun. Getting 3 or more corresponding symbols that line along a pay line grants you a win. Of course, the hair-raising features are second to none. You can activate them by making use of the sumptuous symbols. These include the jackal god Anubis, Eye of Horus, a gold ring embossed, the Pharaoh’s queen and the usual high-ranking cards, such as A, K, Q, J, 10. Ready to have a ball? Bet Levels: No Bet Levels have been included on Luxor Slot. Amount of Paylines Selection: The slot machine doesn’t contain any standard paylines. Instead, it uses winways, of which there are 243, that can enhance up to 1944 thanks to the inclusion of expanding reels. Coin Values: Use the plus or minus arrow in the Bet field to select the preferred stake amount. Coin sizes range from a minimum of 0.50 up to a maximum of 25.00. As soon as you are prepared to get going, use the Spin button! The “Scarab Beetle” on Luxor Slot represents the Wild Card. Plus, Wilds which land on reels 2, 3 or 4 activate a reel expansion. Here, each time you land a Wild Symbol, the reel will expand, enhancing by one square and you will be granted a re-spin. Getting 3 of the “Tutankhamun” symbols anywhere on the reels trigger the Bonus Feature! Here on Luxor Slot, you enter the Tomb of Tutankhamun and are offered with 19 Urns. The objective is to choose urns one-by-one until 3 symbols correspond. The Major Jackpot is activated throughout the game’s bonus round if you uncover 3 of the “Major Jackpot” symbols. If this occurs, you will be granted 100x your original bet. The Grand Jackpot is activated throughout the game’s bonus round if you uncover 3 of the “Grand Jackpot” symbols. If this occurs, you will be granted 2000x your original bet. Land 3 “Free Spins” symbols anywhere on the reels and launch 10 free spins. Here, you will notice the size of the reels changes depending on what Free Spin symbols you uncover. During the Free Spins Feature on Luxor Slot, stacks of up to 4 Wilds can appear. Nevertheless, the expanding reels feature does not carry over to the Free Spins. Explore these tip-top features and have an excellent spinning session!